Get ready for a Amiga FPGA Vampire autumn. This is excellent Vampire FPGA power News! 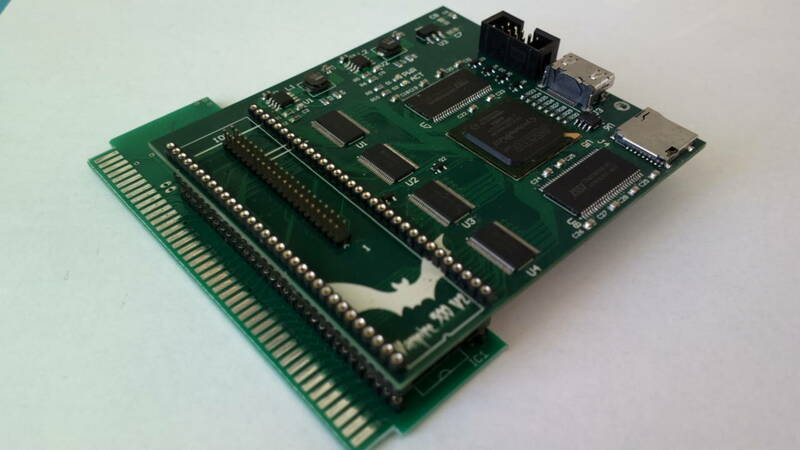 Simo Koivukoski has published fresh pictures of the Vampire accelerator board for Amiga 500 and Amiga 2000 on Google+ website. Also according to a shart review on Amiga.org coming from CommVES 2016 in Las Vegas, USA. Jim Drew tells that a presented Vampire 500 card is running at the event. He also mention that it runs at 234MHz. Also, he reveals that in this years Christmas the world will also see Vampire for Amiga 1200. Indeed its interesting times for Classic Amiga fans. These FPGA accelerator cards will flipflop the world for all Amigans in the world, giving people classic Amigas that are faster, better and worth even more. Only a Canadian user called “kipper2k” can make these cards. Concerning the situation with Vampire 600, where people have to wait days, weeks or even months for their cards to arrive. The Apollo team needs to get help somewhere, but on the good side. None of the cards that has been delivered is without any defects. Any in the indie-computer market should read this and help them out if possible. They do such an amaizing job for the Amiga community. I haven’t so many x-Amigans returning back to the classic Amiga line just because of Apollo Team’s Vampire cards. Kudos to the team and thanks for your Amiga support.